Whether in a neighborhood K-12 school or across a large college or university campus, the surveillance needs of those in the education market are specific and acute. Arecont Vision understands the unique needs of administrators, teachers, faculty, staff, students, and parents in education and provides megapixel technology to specifically meet those needs. In the United States, 85% of public K-12 schools recorded one or more incidents of violence, theft, or other crimes in a single year, estimated to total about 2 million criminal acts. Acts of trespass, theft, vandalism, are all on the increase in many part of the world on school property and facilities. Video surveillance provides live situational awareness and forensic information for school administration and the authorities. 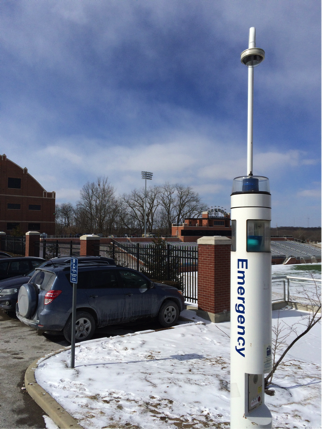 Public schools and many privately funded institutions remain under tight budgets, so driving the most benefit from video surveillance system investments should be a mandatory requirement. Situational awareness can be provided Arecont Vision SurroundVideo® multi-sensor megapixel cameras indoors and out. In these two examples, a single camera in each case provides wide area coverage with high definition images that can be digitally zoomed in as needed without disrupting the coverage of the entire field of view. 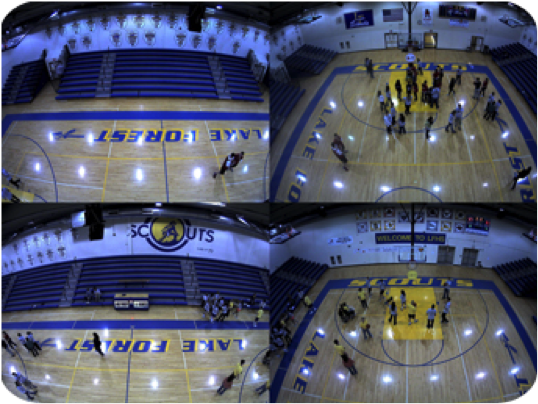 Megapixel cameras provide superior coverage of hallways and intersections, classrooms, gyms, cafeterias, and entrances/exits. In this example, fewer single sensor Arecont Vision cameras provide extensive coverage of areas required by the school. Large, open areas and hallway intersections often would be even better protected with SurroundVideo® multi-sensor panoramic cameras providing 180, 270, or 360 degrees of coverage. Fewer Arecont Vision SurroundVideo® IP megapixel panoramic cameras provide far superior coverage, increased field of view, and dramatically improved video imagery.